What is social media engagement and how can you increase it? Social media engagement is the Holy Grail of marketing and seems to be just as elusive. It means different things to different people, but to most marketers, it means getting a response from their target audience. It may come in the form of likes, shares, comments, tags, retweets, replies, mentions, follows, favourites, repins, clicks, upvotes, +1s, views, listens, or any number of forms that haven’t been invented yet. But what engagement represents is a two-way dialogue between brands and customers. One of the reasons it matters so much is because it plays a crucial role in the calculation of Facebook’s Edgerank algorithm, and ultimately determines what percentage of your audience is viewing your content. If you’re sharing content on social media networks, do your customers appreciate it and engage with it in one of the ways above? And how can you get more of it? That is what most marketers are asking today. My primary rule of engagement is: If you want to increase engagement, be engaged. Like most people, social media users don’t care how much you know, until they know how much you care. Start by giving before you expect to receive. 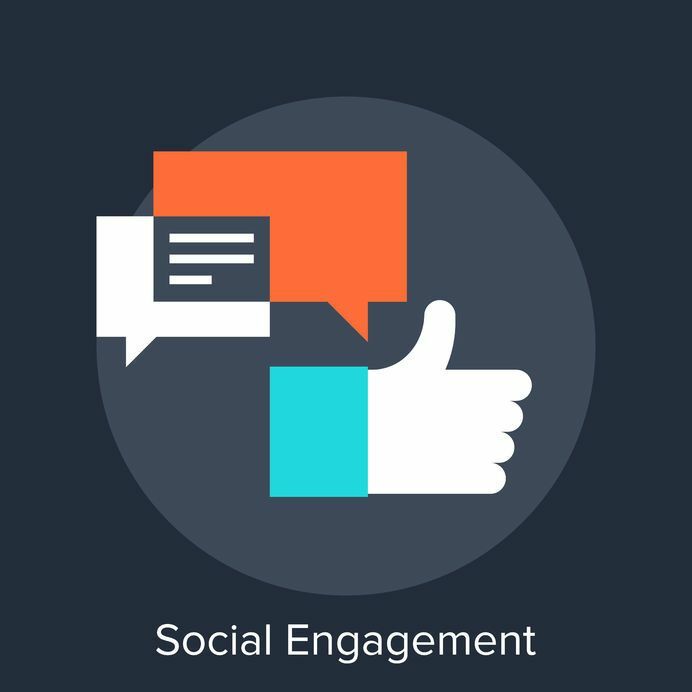 If you want to increase social media engagement, be engaged. That said, there are lots of things you can do to increase engagement, starting now. 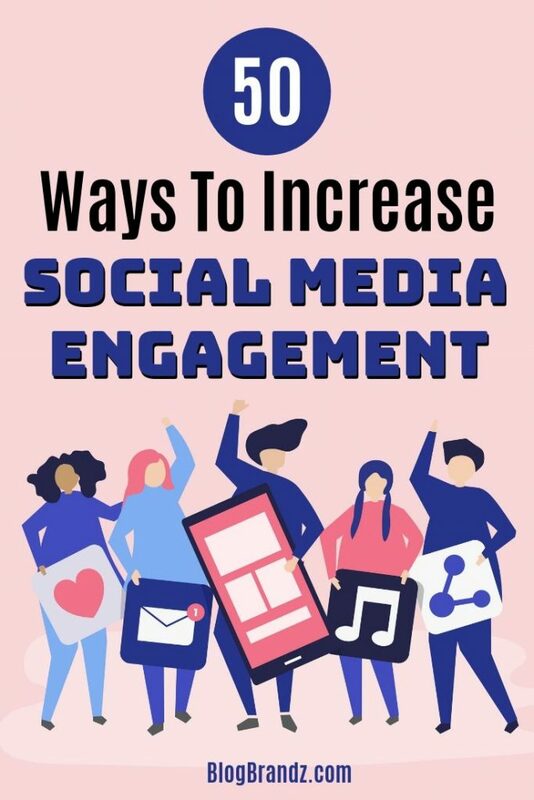 In this article, I cover 50 ways to increase social media engagement. Social media engagement is a two-way street. The conversation starts with you listening to what your audience is saying. With all the free social media monitoring tools out there, there’s no excuse for not monitoring what the audience is saying about your brand. You can use tools like Google Alerts, Social Mention, Talkwalker, Ninja Outreach, Brand24 and others to monitor where your brand or products are being mentioned, where your website links are being shared, and what kind of sentiment surrounds the conversations about your company and products. The time when you could write up a 500 word article, post it on your blog and get a decent amount of shares and comments is long gone. According to AOL/Nielsen, 27 million pieces of content are shared each day. With such a glut of online content creation and sharing, you need to get your content to stand out from the clutter. Some examples of bloggers that do this really well are Neil Patel and Brian Dean. Brian Dean’s Google 200 Ranking Factors is a brilliant example of creating content that is the best in its category. It’s the age of the visual web. Today visual content is the most engaging form of content online. Research says that using images can result in an 85% interaction rate on Facebook and increase retweets by 35% on Twitter. But your images can’t just be any old run-of-the-mill kind of content. They need to be stunning, attractive or tell a story and give your audience a reason to stop their scrolling and engage with them. Clickz.com has some very useful tips on the types of visuals that can boost your social media engagement. With engagement on Facebook native video predicted to dethrone YouTube video engagement, it’s become important for brands to upload videos to both Facebook and YouTube. If you’ve never created video content before, you’re rapidly running out of excuses to do it. With tools like Meerkat and Periscope, streaming videos from your phone has never been easier. Although it’s early days for both these apps, brands like Red Bull, Starbucks, the Miami Dolphins, Mastercard and BuzzFeed are already testing Meerkat and Periscope. Becoming an early adopter for these apps can help you get ahead of the competition in the social media engagement stakes. 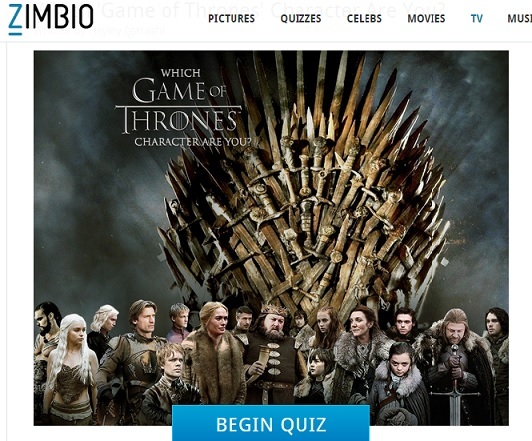 Have you ever got sucked into one of those silly online tests that tell you which Game of Thrones character you are? (I got Arya, just FYI). Or maybe you took a test to find out what colour your aura is? Have you ever hated on a Facebook friend for sending you a Farmville or Candy Crush request? Some of the most engaging content online involve games, tools, quizzes, contests or apps. It may take a bit of investment, but it’s not difficult to come up with a Facebook or other app that offers your audience an interactive experience. Starting a podcast can help you stand out in the crowded social media sphere and build a base of targeted subscribers who enjoy listening to your content. A very easy way to boost content on your blog, Facebook page or other social media page is to ask questions of your audience. Ask them what they like, what they plan to do this weekend, when is the last time they took a vacation and where they went. Ask them a fill in the blank question. People love to talk about themselves and when asked are often more than willing to respond. Asking the right questions can boost your comments and likes, and responding to their comments can help you establish a two-way dialogue with your fans and followers. Another way to boost your social media engagement is to participate on forums like Quora and LinkedIn Groups. Answering questions in the domain of your expertise on Quora will establish you as an expert. Answering questions in LinkedIn Groups will help you engage with people you want to connect to and establish you as a credible source of information on the topic of discussion. There’s no better way to build a reputation and brand yourself on social media. Resharing evergreen content on your blog can boost your social shares and give new life to old content that still has a lot of juice in it. If you’ve ever wondered how to revive old posts on your blog, but need an efficient and easy way to do this, check out my post on how to repost evergreen blog content without lifting a finger. People can easily spot a fake on social media. If you are trying to be someone you’re not, your audience will be put off and move on to someone else. Just being yourself, having your own personality and not being afraid to be open and vulnerable is a very attractive quality that will get a whole lot more love and appreciation from your audience. Facebook groups actually have better visibility in the newsfeed than Facebook pages. When any group member posts to the group, that post will go into all the other members’ news feeds (Source). Groups work very well for causes and communities that allow every group member to be an active participant in the discussion. If you can come up with an interesting community or cause that would attract your target audience, a group might give you better engagement than a Facebook page. Taylor Swift is the Queen of fan engagement. See how her fans reacted when she sent them personalized Christmas gifts and handwritten cards. Can social media marketers can take a page out of her book and come up with a campaign to personalize promotions to their fans and followers? It doesn’t even have to cost the earth. The benefit: Creating ecstatic fans and brand advocates. There are certain times of day when your social media posts will get the most engagement. Use a scheduler like Hootsuite, BufferApp etc to schedule content for optimal times. Quicksprout has a neat infographic with the optimal times to post on different networks. But it’s best if you test and track what times work best for your own demographic before blindly following the timings in these reports. 86% of all posts are published over the workweek with engagement peaking on Thursday and Friday, according to Buddy Media. Research published in the Social Intelligence Report says that the most comments, likes and shares occur on Fridays. 17% of all comments occur on Fridays. 16% of likes occur on Fridays. 16% of shares occur on Fridays. According to the Social Media Examiner, “these findings are consistent with Facebook data published several years ago, showing that the Happiness Index on Facebook spikes on Friday.” So it might be a good idea not to ignore the weekend when scheduling your content. If you want to explore, in more detail, the best days of the week and times to post, check out this article in the Huffington Post. If you want to pluck the low-hanging fruit and ride on the success of other people’s content, you can repost content that has already gone viral on your social media pages. It’s already proven to increase engagement, so why not use it to boost yours. The kicker is finding viral content, a task that Postplanner can help you with. People love attention and when you make them the focus of attention on your social media profiles, they’re more likely to engage with your brand. You can do this for both, your fans and employees. Share the photos that fans post when they tag or check-in to your page. 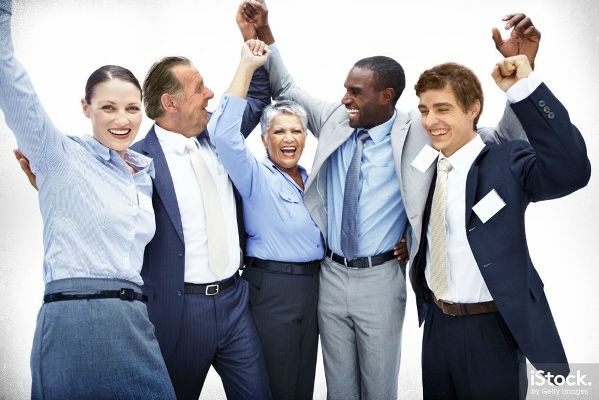 Share your employees’ achievements and post fun images of them on the job. They’re more likely to repost or share them to their own friends and followers. This post from Social Media Examiner recommends using Google+ Circles, Communities and Hangouts to create valuable conversations. Join a community that fits your company’s industry or create your own. Use Google+ Hangouts or Hangouts on Air to start a video chat and connect with your audience. As with any social media network, the effort you put into your Google+ community building will determine the results you get from it. On Pinterest you can collaborate with other people who share your interests by creating a group board with a single theme and inviting others to add pins to it. A collective effort will increase your engagement and make your board more attractive to other Pinterest users. Hashtags started on Twitter and have now spread to Facebook, Instagram and Google+. According to this article on Inc, hashtags can make your content easy to search for and find, by anyone with an interest – even if they aren’t following you. Tweets with hashtags get double the engagement of tweets without them and are 55 percent more likely to be retweeted. Engagement drops on Twitter if you use more than two hashtags, so it’s best to use them in moderation on all social networks, except Instagram (where more is better). Antonio Calero has some of the best practices for using hashtags. Stories have been used since the dawn of humankind to transfer knowledge in an engaging format. Content that tells stories is inherently more engaging to your audience. Whether it’s in text, image, video or any other form does not matter as long as the story has an emotive appeal. The best kind of content for any company in the business of providing solutions is the kind that helps customers solve their problems. A well-thought out and executed content marketing campaign should focus on how your customers can use your products and services to make their lives easier. “How to” content that helps them fix some aspect of their lives will usually get higher levels of engagement. Who doesn’t love a good caption, especially when they wrote it themselves? Photo caption contests play on your audience’s love of snappy and snarky comments. Use inspiring, provocative or humorous images for best results, says this post from Social Media Examiner. 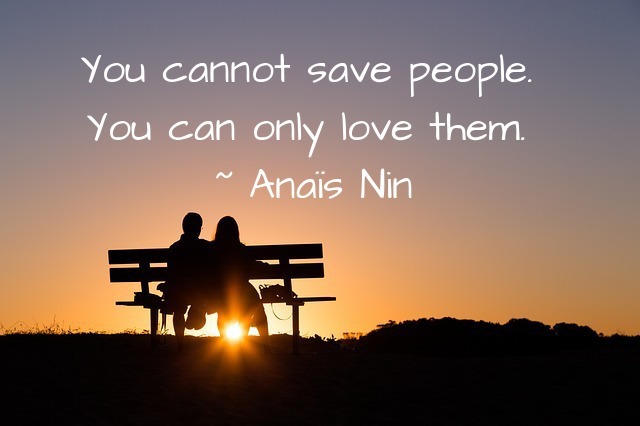 Visual quotes are one of the easiest content formats to create. They’re also likely to get more likes and shares than other forms of content. All you have to do is pick an appropriate quote from BrainyQuote or GoodReads, and use any image editor to paste it into an image. Upload it and you’re done. 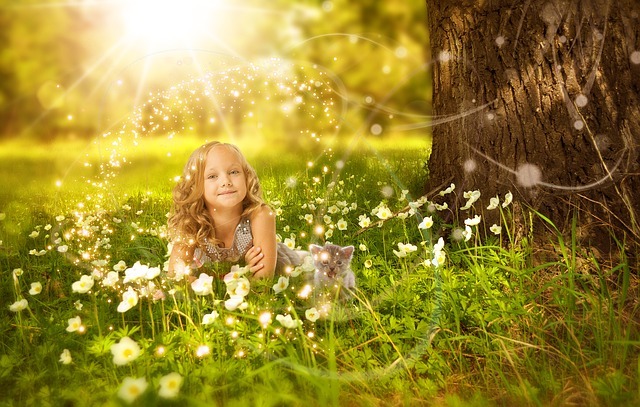 If you know where to find free images that don’t require attribution, (Pixabay is one of my favourites), and use a free online image editor, you can do it all at no cost. No need to hire a graphic designer. If you want to take your social media engagement up a notch, start a campaign to engage influencers. Start by building relationships with them using the tips here, before you ask for any favours. They need to warm up to you and see that you have something of value to them before they will take an interest in promoting you. You could start out by reviewing their book or products, on your blog, and letting them know. Give first and you’re more likely to get their interest. A single tweet from an influencer with a large following will get you in front of a much larger audience than you could ever get on your own. With the death of organic reach on Facebook, pay to play is the new mantra. Facebook has many options to help you boost engagement, and their Promoted Posts option is one of the best. Boost your posts to increase likes and engagement on content that is important to you. You will be able to reach a much larger audience than just your page fans, with a greater degree of certainty. If all you do is talk about your products and your company online, your audience will be put off by your self-promotional ways. You need to show them that you’re a source of useful content about your industry. Mixing in third-party news and content about your industry, along with a few promotional posts about your company, is a great way to do this. The recommended ratio for such sharing is called the 80-20 rule. That means, for every 4 third-party posts, you should share 1 promotional post. That way you don’t come across as a self-promotional douchebag, and retain your audience’s interest so they won’t mind your promotions. A great way to increase engagement on social media is to organize and promote an event. It could be an online event, like a Tweetchat or a Google Hangout or a webinar, or an offline event like a conference or retreat. Once the event is over, share the results of the Tweetchat or Hangout. Mention how many people attended and what conversation took place. If you attended a conference or a retreat, post photos of the event afterwards. People love to share the fact that they attended an event. 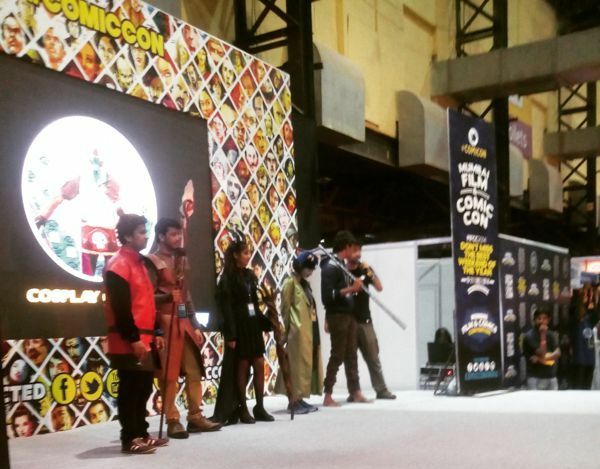 If you feature other attendees, they’ll likely tag themselves and share your photos with their own network. Whenever you receive a great customer review or testimonial, showcase it or share it to your page or profile. It provides social proof and lends credibility to you as a company. It also lets your customers know that their feedback is valued. Sharing testimonials makes it likely that more customers will come forward to share their own experiences with your brand. Every brand has a few loyal fans and followers. When you notice a fan liking, sharing or retweeting you on a regular basis, thank them for their participation. Regular giveaways and contests that reward loyal fans is a great way to boost engagement and make it worthwhile for them to keep sharing and engaging with your brand. Posts that are a certain length are likely to get more likes, shares and retweets. Here’s the optimal length for content on social media networks. This data is courtesy of a useful infographic from BufferSocial. Check it out if you want to know the optimal post length for every social network, including YouTube. One of my favourite commandments to people who attend my talks is that “Consistency is more important than frequency.” This applies not only to how often you blog, but also how often you post on social media. If you post 3 to 4 times a day for a few days and then post nothing for days or weeks, your followers will see you as less reliable and consistent and your engagement will drop. Even if you just post once a day, be consistent. A scheduler, like Hootsuite or Buffer, can keep you on track to post even when you’re on vacation. Give to others what you want to receive. If you want others to like, share and comment on your content, you have to give some love first. Like, comment on and share posts from other pages you like. 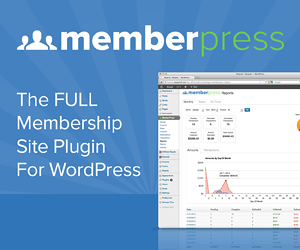 It could help you build some great relationships online. If you’re a local business and you want to boost engagement on social media, it’s very important that you have a Google+ Business Listing so your customers can find you and post reviews of your business on Google. This is especially important given the growing popularity of mobile search. Once you create and verify your business listing, Google will send you detailed insights and analytics about your Google+ business listing, so you can track engagement. Also cross-post content to your Google+ Business Page so that your customers have a reason to follow you there. If you thought that posting more often on social media would translate into more engagement, you’d be wrong. This study by Hubspot found that the opposite is often true. As the average number of posts published per week decreases, the average number of interactions per post increases. So one way of increasing social media engagement might be to keep your posts down to just 2 to 3 a day and let each post get the attention it deserves. You can’t understate the power of a good headline. A catchy headline can be the difference between your blog post getting clicked on and read, or overlooked. A good practice is to keep title tags around 55 characters or less and blog headlines around 6 words or less. There are many successful blogs, like Buzzfeed, that use much longer “clickbaity” headlines, but a blog headline beyond 60 characters will get truncated in Google’s search results. 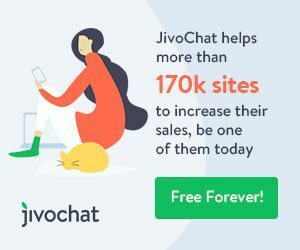 There’s lots of information on writing great post headlines online, but 52 Headline Hacks by John Morrow is one report you might want to download and read, for the sheer number of headline writing ideas it offers. Whether you engage with your customers on social media or not, some of them will be talking about your brand and products. You can show that you care by responding immediately, or within a reasonable time frame, to customer complaints and bad reviews. If you want to boost engagement on networks like Twitter, you can’t be the kind of person who refuses to follow people back, unless you’re a celebrity (in which case you probably don’t need this list). Following back valid and genuine followers (not those accounts offering to sell you more Twitter followers) is a good practice. Reading, retweeting, thanking and replying to your followers is even better, because it says you care about them. People vary in the kind of content they like to consume. Some people are visual and prefer videos, images or infographics, some are listeners and prefer podcasts. Most writers prefer to read text content. If you create a text post, consider repurposing it into an infographic, a video or a podcast. And if you have a podcast, consider providing transcripts for the ones who prefer to read. That way you’ll reach and engage with a much wider audience than if you stick to creating content in a single format. A mailing list of subscribers consists of people who have opted in to receive updates from your company. These are readers who, if nurtured properly, can create repeat traffic to your blog and become some of your most ardent sharers and advocates. Build your list, and your social media campaign can essentially become network neutral. Every time you create a new social media profile or page, you can email your list and ask them to follow you there. Your email signature is an exceedingly underutilized piece of real estate. Using an extension like Wisestamp in Gmail can help you include your social media profiles in your email signature and boost your following and engagement. LinkedIn’s publishing option offers you a great way to showcase your knowledge and expertise in any given area. It also helps boost your engagement within your LinkedIn network because LinkedIn notifies your network when you have published a new post and allows them to follow you to receive notification of future posts. Also posts that are viewed a lot, get picked up by LinkedIn Pulse, increasing your views and engagement exponentially. To get the best results from LinkedIn Publisher, LinkedIn expert, Viveka von Rosen, recommends creating more thoughtful and thorough posts, and limiting your posting to once a week or so. Hubspot also has some useful tips on publishing on LinkedIn. If you have just started your blog and have a very small audience, you can grow it by syndicating your content on sites with a much larger audience. If you want to target the B2B segment, sites like Quora and Business2Community are ideal to post on. Considering that their updates go out to millions of readers, your content is bound to get noticed a lot more if you syndicate it there. My articles regularly get over 10 times more shares on Business2Community than they do on my own site. Guest blogging is a very different ball game than syndication. Recent Google updates have targeted low quality guest blogs, so proceed down this route with caution. Establish relationships with influential bloggers and offer them high-quality content if you want to use guest blogging to increase your backlinks and social media engagement. One way of increasing your social shares and upvotes is by joining a blog community like Blog Engage, Blokube or Indiblogger to promote your blog. Each community has its own rules for sharing and promoting content so make sure you follow them before promoting your own. More visits from search engines means more visitors reading and sharing your content on social media. Follow these basic SEO tips to optimize your blog and you’ll have a good foundation for more advanced SEO practices. There’s no excuse today for not answering your customer’s queries, complaints or comments on your social media channels. Social media has changed the rules of customer engagement and they expect to be responded to in a few hours or less. Keep your engagement rates high with a customer service executive dedicated to your social media channels. 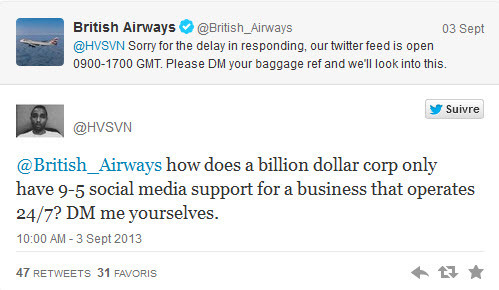 Or else hire a social media manager to answer customer queries. Increasing social media engagement takes a lot of time and effort. If you have no time to go about implementing the tips here, you should outsource your social media marketing. Give your social media manager the PDF of this article to get them started with your campaign. The brands that have built a highly engaged and large social media following are the ones that adopted use of a social media channel before their competitors. 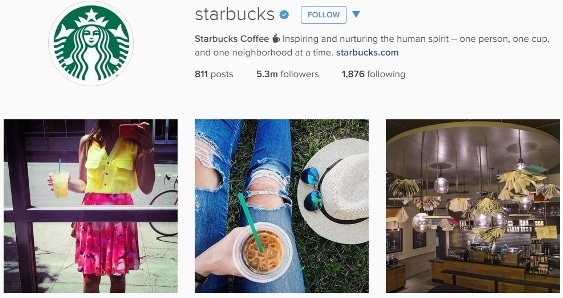 For example, Starbucks’ Instagram channel has over 5 million followers. Get a leg up on the competition by becoming an early adopter and jumping on the latest way of sharing content. Right now Meerkat and Periscope are some of the hottest channels. Start a campaign on them and become a pioneer in the way brands engage with their customers on social media. Your campaign could even get featured as a case study if it’s successful. If you want to boost engagement on Instagram, use more heart emojis in your posts. Simply Measured studied 2,500 Instagram posts by global brands and found that the emoji known as “love heart” ♥ performs better than all other emojis on the platform by a wide margin, averaging more than 120,000 likes and comments per post. We hope you’ve enjoyed reading this list of 50 ways to increase social media engagement. Did you try any of these tips? Let us know how they worked for you in the comments below. If you enjoyed reading this list and found it useful, please click on the button below to share it. There is no doubt that if one can go through these tips and then apply them on his social media promotions, he should be getting loads of shares which also means loads of traffic. Like you mentioned, you need to create engaging contents and also beautify all your writing with good images if you really want to stand any chance in your social media promotions. I’ve noticed that article with nice looking and relevant images tends to perform better on social media than the ones without images. You’re right, Theodore. Using attractive images does boost engagement, as mentioned in the article. Glad you liked it. Now a days, If you do not have social account and did not promote your website on social awareness then i think you are out of internet marketing Gold Mine. Amazing share, and you have covered some great tips on social awareness. 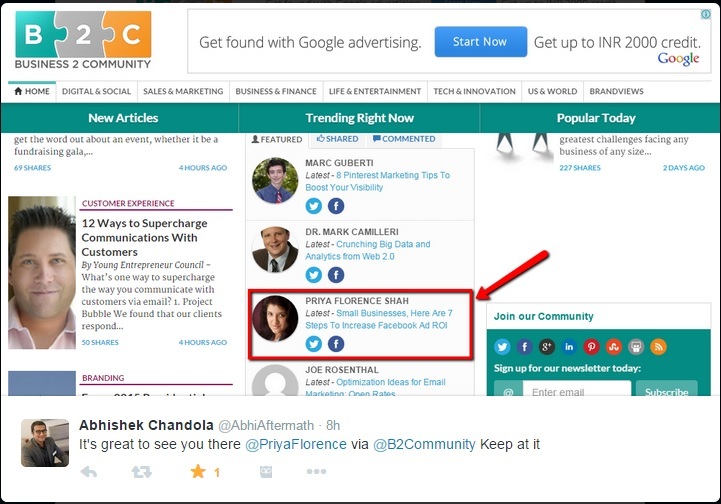 Priya has gone beyond the normal suggestions with this post. Very valuable information and well put together. I will be trying out many of these points. Thanks, Calen. Glad you found it useful.